← Question #14: What do you think of a compromise position between hymns and Psalms in worship? My church allows the singing of hymns before the Call to Worship and after the benediction, but only Psalms during the formal worship service. Question #15: Why do so few Baptists practice exclusive Psalmody? 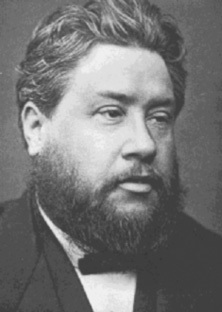 Charles Spurgeon published a hymnal called Our Own Hymn Book in 1866 which contained many of Isaac Watts' hymns. Why do so few Baptists practice exclusive Psalmody? I would be interested in getting some feedback from any Baptists regarding your convictions on exclusive Psalmody. What are some of the reasons (theological, historical, etc.) why we don’t see many Baptist EP churches? This entry was posted in Questions and tagged Baptist, Exclusive Psalmody, worship. Bookmark the permalink. 1. I think we have to start with some of the Baptist forefathers of the 17th century. This is also the century that the Westminster Confession of Faith and the London Baptist Confessions of Faith were written (I have more in mind the 1689). If we look at the well known men from the Westminster assembly, they were committed psalm singers. However, if we look at the Baptist side and some of the most well-known men of that day we don’t find committed psalm singers. Three men that I have in mind are William Kiffin, Hanserd Knollys and Benjamin Keach. Kiffin and Knollys were against any form of congregational singing. The reasons for which would be a topic for another time. Keach was pro-hymnody. Keach himself wrote many hymns and even authored the book “The Breach Repaired in God’s Worship” in which he argued for the inclusion of hymns in the worship of the church. The thing that we notice is that out of the three, none were exclusive psalmodists. We can see through Baptist history as we move forward from this time period that the views of Keach won out over the views of Kiffin & Knollys. Some say as early as the middle of the 18th century. 2. The Reformed Baptist Resurgence. That is the best term that I can think of so it will have to do. In recent years, there has been a great resurgence in the quantity of Reformed Baptist churches in the U.S. especially. This multiplication and spread of the Reformed Baptist movement in the last few decades has several aspects in it that have led to the spread of hymnody in Reformed Baptist circles. First of all, when a group spreads and churches are planted by existing churches, the same doctrines are planted or taken with them. One of these doctrines is hymnody. Secondly, in the Reformed Baptist church today, many of the pastors have a connection to Pastor Al Martin. Many of them attended Trinity Ministerial Academy which was a ministry of Martin’s church in New Jersey. These former students are now some of the leaders of many current Reformed Baptist churches. Pastor Martin , who is a great Christian man and highly respected by myself and others, practices hymnody. Naturally, therefore, his former students practice the same. 3. The Trinity Hymnal (Baptist Edition). The Trinity hymnal is informally accepted as the official hymnbook of most Reformed Baptist churches. It is at the point today that it is hard to separate the two. When you think Reformed Baptist church, one of the distinctives is the Trinity Hymnal. Because of this acceptance and tradition, hymnody reigns in Reformed Baptist Churches. 4. A looser view of the regulative principle of worship (RPW). From my experience, a great majority of Reformed Baptists have a loose view of the RPW. I’m sure that they would disagree with that statement and an argument can be made as to what determines a loose view. However, if we use the Puritans as a guide to the RPW, I believe we can say without a doubt that most Baptists have a loose view of the RPW. Because of this, some reasons that exclusive psalmodists would use for their practice would be immediately dismissed due to a different view on the RPW. There would be plenty of other reasons, some I might list later. However, most of them would not be isolated to Baptists. Baptists who do not practice EP also use the same reasons that a non-EP Presbyterian would use. Wow! Great question Mark.I have always wondered about this one. Is it because they interpret RPW differently? In fact, they are the ones who usually say that “good and necessary inference” ought not to be employed always and RPW must be restricted to “things expressly set forth” in Scripture ( Fred Malone for eg. uses this argument to reject Paedobaptism). Going by this, there ought to be more Baptist EP churches than Presbyterian. Most Baptists would argue that hymnody is expressly set forth in Ephesians 5:19 & Colossians 3:16. I don’t agree with them but that is their view. Some would even go so far as to relegate singing content to a circumstance instead of an element and that only singing itself is an element. That is how many argue for the inclusion of musical instruments. Therefore, by saying that what we sing is a circumstance it is not ruled by the RPW. Thought I would add one more. 5. The Baptist View of the Covenants. This may at first seem to be an odd reason but once investigated is not. Most Baptists draw more of a hard line between the Old and New Testaments. This is not to say that they do not teach Old Testament but that they see less continuity between the two. Thankfully, I have also yet to meet a Baptist that teaches that there was a different source of salvation in the two Covenants. The question that must be asked when the church began? Did it began with Adam or at Pentecost? If it began at Pentecost, then why does it matter what worship consisted of in the Old Covenant? If it began with Adam, then what we have continuity. Have there been two churches in history or just one? Although worship has changed and things are different now with the coming of Christ, we don’t have a brand new church at Pentecost. We have a changed one. Therefore, if it is the same church, although with changes, we can still look to the Old Testament for examples. Those things in OT worship that were not 1) Fulfilled in Christ or 2) Changed or added by Christ would still be in effect. This is one way that we can look at psalmody. It was practiced exclusively in Temple and I believe in the synagogue as well. There is nothing in the New Testament that shows that exclusive psalmody was fulfilled or changed. Instead we see examples of its practice. I also don’t believe Colossians 3:16 & Ephesians 5:19 are adding uninspired content to the acceptable worship of God. However, if we were to throw out past examples of worship before Pentecost and instead only look to the post-Pentecost church as an example and add a wrong interpretation of those two verses then it is not surprising that psalmody is not more accepted in Baptist circles. I would like to add a disclaimer to my comments. I am not under the impression that every single Baptist thinks the way that I have described above. There are some that do not. I myself am a Baptist who practices exclusive psalmody. However, the above is from my experience and what I have seen, heard, read, and been taught in my life as a Baptist. Reformed Baptists do teach continuity between the covenants and I am thankful for that. However, they do not include certain areas in this continuity that I wish they would. One of these areas is congregational singing. This seems to especially stand out to me as a reason why there are so few EP Baptists. As Jon mentions below, “Some seem to think that the same hermeneutic that precipitates covenant-baptism, also precipitates EP; reject one you must reject the other” is very true. From my own experience, I don’t think a general Baptist viewpoint is really looking for continuity between the Old and New Testaments. For a Presbyterian, it would seem that EP would easily or more naturally be accepted from the text of Scripture as we move from OT to NT. But for the Baptist hermeneutic, it would be more forced. Just as the Baptist is looking for a “proof text” for infant baptism, so they would expect one for EP. In some ways I think this also applies to the subject of worship. Since a Baptist perspective is generally looking at the church as a “new” thing in the New Testament, the mindset is usually that there are no limitations on worship. I grew up in churches that were literally making it up as they went (I know that all Baptists don’t think this way, just an example of some pervasive views). A similar theological view can be observed in other denominations as well. For a Presbyterian, worship and the church start much earlier, so the rules to govern such things are found throughout the whole of Scripture. Unfortunately, we Presbyterians have a short memory, and most don’t seem to remember what our hermeneutic is or that we should believe in strictly regulating our worship with God’s Word. We can now see that a very small percentage of Presbyterians practice EP. This is really surprising since every Presbyterian accepts infant baptism, but they will not allow that same hermeneutic to extend to the singing of Psalms. I would tease a little and ask if our EP Baptist friends are worried that promoting Psalmody among the Baptists will lead to their accepting of infant baptism. : ) Of course, all they have to do is look at all the Presbyterians who haven’t allowed their infant baptism to lead them to EP. A Reformed Baptist EP church must be one of the very few, right? Which Baptist denominations hold to EP? Or are there denominations that give freedom to individual congregations to hold EP? Baptist polity is a little different. “Reformed Baptist” is not a denomination. All Reformed Baptist churches are independently ruled by the elders of that particular church. We do not have any form of church government over the local church. Some non-reformed Baptist groups are considered a part of a denomination. An example would be Southern Baptists who are a part of the Southern Baptist Convention. However, the convention has no power over any individual church and serves mostly to pool resources, discuss different issues, and provide an avenue for fellowship between like-minded churches. Some Reformed Baptists churches have joined together in different groups but these would not be considered denominations. As far as the number of Reformed Baptist churches, there are very few. There are a handful in Great Britain. Our church, as far as I know, is the only EP Baptist church in the entire United States. I think John has answered well. I would add a couple of things. Firstly, I think latently within many Baptists (especially non-reformed variety) is a strange idea that because Presbyterians sings psalms, Baptist’s shouldn’t, I say latent because it is rarely expressed. Some seem to think that the same hermeneutic that precipitates covenant-baptism, also precipitates EP; reject one you must reject the other. Secondly, I think that the resurgence of interest in interpreting the Psalms, and the Old Testament in general, Christologically has been slightly slower coming to RB’s than others. Perhaps more will start to think about the Psalm-singing subject now that it has arrived. Thirdly, I agree with John that in “received practice and doctrine” is the biggest factor, in my experience few RB’s have thought deeply about this subject, perhaps they have had other things to concentrate on in the past. Few that I have met have read Bushell for example. However, in the main I think there is no difference in reasoned rejection of EP in Baptists than you will find in PCA, OPC etc. I would say that *most* Baptists don’t practise Exclusive Psalmody, for the same reason so many Presbyterian churches do. Namely, they’ve never done otherwise and they’re adverse to change. Or, perhaps it is because they have received teaching on the subject, and have yet failed to truly *search* the scriptures (as opposed to simply *looking them up*) to see if the things they have heard are so. As for me, I am not a big B baptist (though I do believe firmly in believer’s baptism by immersion, as do all who follow the Regulative Principle of Worship) and I believe in singing *both* Psalms and newer songs. We find in the Psalms themselves the explicit commandment to sing a *new* song to the Jehovah, and I take this very seriously. “Praise ye Jehovah. Sing unto Jehovah a *new* song, and his praise in the congregation of saints” (Ps. 149:1). It means *new* as in, *new* and not centuries old! It means *new* as in, express your soul in song to the Lord in a new way, as you would in prayer! “My soul followeth hard after thee”. It means *new* as in, when the Psalms were written they were *new*, which is the Psalmist could say, “sing a *new* song to the Lord”! It also says in the Psalms to praise God on the loud sounding symbol, and I believe in this too! Indeed, I take all the commandments of scripture very seriously, unlike those who are merely set on defending the traditions (of men) which they have learnt. They are not *really* serious about getting to the scriptural truth. You may think this is a bit harsh, but I challenge you: How many people do you know who have grown up in Presbyterian circles who end up believing in believer’s baptism? And how many people do you know who have grown up in Baptist circles who end up believing in household baptism? Obviously, the doctrines of believer’s baptism and household baptism can’t both be right. Therefore, the only *honest* way to explain the fact that people usually just stick with what they have learnt as a child, is that they are following the traditions of men! This applies *whatever* position they hold, because the likelihood is that even those who have the right doctrine don’t believe it because it’s in the Bible, but rather, because it’s what they’ve been taught and because it’s what they’ve always done. That is to say, when they have researched the matter, they have done so without giving a fair place to the other side. They have allowed themselves (though not intentionally) to be bias. I believe that neither the Baptists, nor the Presbyterians are truly committed to the regulative principle of worship. If you think this is harsh, let me challenge you on a single *example*. If the Baptists and Presbyterians were truly following the regulative principle of worship, they would lift up holy hands as they prayed, *like the Puritans did*! Indeed, lifting up hands in prayer has almost completely died out amongst the Presbyterians and Calvinistic Baptists. But once it was very common. Isaac Watts said in his book, A Guide to Prayer, that there could be nothing more natural than for men to lift their hands whilst praying. We read in scripture: “he spread forth his hands toward heaven” (1 Kings 8:22); “Hear the voice of my supplications, when I cry unto you; when I lift up my hands toward your holy oracle” (Psalm 28:2); “I will lift up my hands in thy name” (Ps. 63:4); and concerning public services we read, “I will therefore that men pray every where, lifting up holy hands” (2 Timothy 2:8). This is just one *example* of where Baptists and Presbyterians have been content to go along with what everybody else in their denomination does, rather than challenge the traditions of men as they are commanded to do, and as as they *would* do if they were *truly* committed to following the regulative principle of worship: “ye should earnestly *contend* for the faith which was once delivered unto the saints” (Jude 3). I have challenged many people on various issues relating to the regulative principle of worship, and I have found that a common response is shear offense that I would question not only their interpretation, but also their commitment. Indeed, people tend to get very offended by the fact that I have actually come out and said what everybody really knows, and what you may have even talked about at times with various people in your church (but not *done* anything about). Namely, that so called, “reformed” churches are *dead set* on keeping the traditions of men, if not more that the, “catholics” then certainly more hypocritically, cinse they criticise the RCs for this very thing a great deal. Thank you for your very thoughtful remarks. Indeed, I believe you have introduced some good items for discussion. It is interesting that you feel “lifting holy hands” is an item of neglect in the church, and that by matter of implication, this neglect shows that we do not take the matter of regulating worship seriously. Brother, I fear you have underestimated how passionately we Reformed Presbyterians feel about the Regulative Principle of Worship. Perhaps you’ve been talking to the wrong Presbyterians? I wasn’t aware anyone was denied the right to hold up hands in prayer. If you feel the need, go for it. As to whether it is a matter of regulated worship and that it must be done in a certain manner…that is a different kettle of fish. Are we always required to hold up our hands when we pray? How often and how high? It seems more likely that the holding up of hands was a custom, or rather that there is a figurative meaning to “lifting” and the thing lifted, the “holy hands”. There are incidental matters of worship that we deal with every time we worship: the time we meet, how long we meet, standing in prayer, kneeling in prayer, sitting during a sermon. All of these particular things are mentioned in Scripture as a description of something that happened at one time or another, but they are not elements of worship. I do think it is of interest that you choose this particular item as proof that we are not practicing regulated worship. I believe we should restrict the worship service to only those elements with a positive command, and those elements without command are to be left out. As such we are commanded to read, to preach, to pray, to sing Psalms and to observe the Sacraments and that is all. How is this not worship regulated by God’s Word? If we don’t hold our hands above our heads for exactly 46.5% of the prayer, we have failed in our worship of God? I don’t think that is the intent of the reference to lifting holy hands. That is an attitude of mechanical manipulation, rather than one of obedience. Although we have limited means, the focus is not on the means. The elements are simply a framework for obedience, and in the use of the limited means we actually are accomplishing much more than those churches who use fog machines and subwoofers. We are accomplishing more because God makes them effectual. I confess that every worship service I have ever led was less than it should have been. I always fail to worship perfectly. I never get it the way its supposed to be. That’s why I am glad the goal is to obey, it isn’t to obtain perfection. Christ has already done that for us. We approach heaven in the name of Christ. NEW POST with the question: Please tell me, where is singing out of the Bible in scripture? Please address the question there so we can keep our thoughts together. Great post Brother. This discussion has really clarified so many things. And BB Warfield’s commentary feels so right and spot on. Sorry I haven’t made a response to your post, I have had a very busy schedule these past few weeks. I’ve been thinking through some responses that I will try to get posted this week. Thanks for your post, I think it reveals to us that you have put some thought into these many issues that are connected to our worship of God. I moved the discussion of the Psalters and the above post over to Question #16 Please tell me, where is the singing out of the Bible in Scripture? found here. Please address comments there so we can keep our discussion together. Very interesting topic of conversation, by the way.